BitPay, the world’s largest Bitcoin payment processor, has announced that they have processed over $2 million in payments in the first 25 days of March. The company also reports that the rate of transactions is also accelerating, with 3,600 processed this month, and the total number of merchants that the company serves has now increased to over 4,000 – more than triple what it was in November before WordPress’s announcement. As a sign of Bitcoin’s greater adoption, this news is very significant. As the Bitcoin price has now shot up by a factor of five since it first started its meteoric rise since the beginning of January, many people are becoming increasingly concerned that Bitcoin is entering another bubble, a cycle of self-reinforcing price increases and media attention that is not backed by any underlying adoption. If that is the case, then it means that the price could easily crash back down just as quickly, much like it did in 2011. Now, however, the opposite is clear; although Bitcoin’s price and visibility have increased drastically over the past two months, at least for now adoption seems to be keeping up. Other data corroborates this; Bitcoin transaction counts are also going up, although not as quickly. It should be noted that BitPay is far from the only payment processor in the Bitcoin economy; Reddit and Mega, two of the largest businesses to accept Bitcoin, use Coinbase and Zipbit, respectively. Thus, the Bitcoin economy is a lot larger than even the $2 million per month that BitPay reports. For a long time, critics of Bitcoin have claimed that the currency’s primary use case is buying illicit goods such as drugs, citing statistics such as Silk Road’s estimated revenue of $2 million per month from August 2012, but the new statistics clearly show that even if those claims were true in 2011 and early 2012, the “legitimate” Bitcoin economy is now much stronger. Merchants using BitPay also have another reason to rejoice. As a result of the company’s success, CEO Tony Gallippi has announced that fees for all merchants, including those who are converting their earnings to any local currency that BitPay supports, will be reduced to 0.99% across the board. “We chose to celebrate this milestone by rewarding all merchants, large and small, with an across-the-board fee reduction, instead of offering tiered pricing which rewards only the largest merchants,” Gallippi writes, “We want our merchants to use this fee reduction to offer discounts and incentives to their customers for paying with bitcoin.” This price decrease in particular is very significant. With the new fees, if a buyer buys bitcoins through Coinbase, pays the money to a merchant in exchange for a product, and the merchant cashes out through BitPay, the round-trip fees add up to a total of 1.99% – less than the 2.90% + $0.25 charged by Visa and Mastercard. However, from the customer’s point of view at most Bitcoin merchants buying with Bitcoin is still 1% more expensive, and so, at least for now, the buyer has no financial incentive to participate in the currency switch. This is why Bitcoin business advocates are now increasingly calling for Bitcoin businesses to pass on the savings through a discount, and some large players have already done so. The Bitcoin Store, for example, has been successfully offering its customers prices for electronics lower than what can be found almost anywhere else because of their savings from using Bitcoin, and they have already gotten more than $300,000 in purchases. Of course, fees are not the only savings with Bitcoin that businesses can make. Many merchants, including small businesses in particular, accepting credit cards are often forced to spend a significant portion of their time looking at customers’ personal data to attempt to verify that the purchase is legitimate. With Bitcoin, merchants do not need to worry about fraudulent customers, resulting in savings of both loss to fraud and investigative effort that is potentially much greater than 2-3%. Discounts as high as 5 or even 10 percent may be justified on these grounds. For businesses selling digital goods such as games and software, there is a strong case to make that the discounts that Bitcoin users should receive are even greater. To see why, it is important to understand that digital goods have a zero marginal cost of production – that is, when someone buys a movie, program, book or song the vendor must only pay a fraction of a cent transmitting the data to the buyer, pocketing the rest as pure profit. However, there is a hidden tax involved: the effort that the buyer needs to make to complete the transaction. In the case of credit cards, this involves filling in a form including credit card number, validation code and a full set of personal information – a process that may take the buyer several minutes to complete. In the case of Bitcoin, all it takes is copying an address or scanning a QR code. Now, imagine that a given song or mobile application is available for sale to two different groups using these two different methods for $1. A credit card user might value the time wasted filling in the form at an additional $1, while for the Bitcoin user the streamlined process of buying through Bitcoin would only “cost” $0.20. Consider what would happen if the price was increased to $1.60 for both groups. To credit card users, the total cost would go up from $2.00 to $2.60 – a 30% increase. To Bitcoin users, however, the cost would go up from $1.20 to $1.80, or 50%. Under normal circumstances, the 50% increase would deter a larger percentage of customers from buying the product than the 30% increase, and so it may well make economic sense to increase the price for credit card users and not Bitcoin users. Applying this effect across the board, it becomes clear that the optimum price for a digital good for Bitcoin users will often be much lower than that for credit card users. At this point in Bitcoin’s development, encouraging more merchants and customers to start using the currency is crucial for its continued growth. Potential Bitcoin users looking at Bitcoin need to see a reason to start using it to buy products and services, and at the same time merchants looking to start accepting Bitcoin need to see a sufficiently large potential customer base for accepting Bitcoin to be worth it. One of Bitcoin’s major advantages is its low fees, but until now for most users and merchants that advantage has not been realized; merchant processing fees from BitPay were almost as large as those charged by Visa and MasterCard, and combined with Bitcoin exchange fees on the buyer’s side it was Bitcoin that was the more expensive option. Now, merchant savings with Bitcoin have finally become a reality, and if merchants reciprocate by providing discounts, even if only 1% off the original price, both sides will be able to share in the savings. 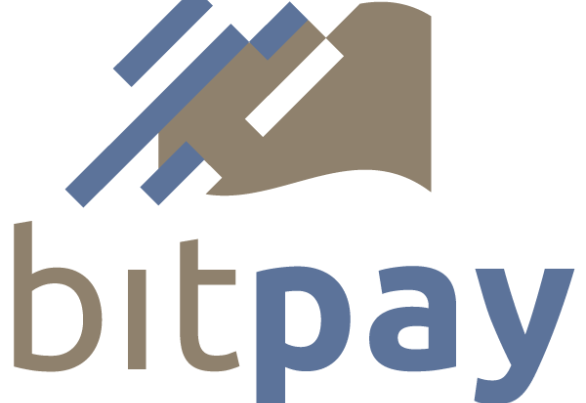 All in all, BitPay has just laid the groundwork for an even greater wave of adoption in the months to come.